Storytellers love character archetypes. They feel ancient and symbolic, and they’re just fun to play with. A while back, we mentioned some archetypes we think stories are usually better without. To banish the rain on our archetype parade, here’s five we want to see more often. 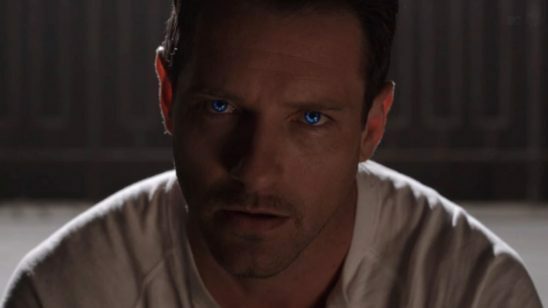 In MTV’s Teen Wolf, Peter Hale is the power-hungry werewolf who bites the unwitting Scott. Peter offers to teach Scott what he knows, but Scott can’t trust him. Because a hero often starts the story as a powerless underdog, the mentor exists to level them up. The mentor teaches the hero important skills and gives the hero equipment they’ll need to save the day. But there’s a problem with mentors: they’re likely to steal the spotlight. They have the skills and equipment necessary to save the world, so why don’t they do it themselves? Traditionally, storytellers have removed mentors from the story once they’re done training the hero. Killing off the mentor is the classic, but overused, method. Regardless of how the mentor is sidelined, any time spent developing the mentor as a character is wasted once the mentor is gone. Enter the mentor antagonist. This mentor doesn’t have to go anywhere because they have goals that conflict with the hero’s. To save the world, the hero will have to go through them. Since the mentor always has some level of power, that adds lots of juicy conflict. 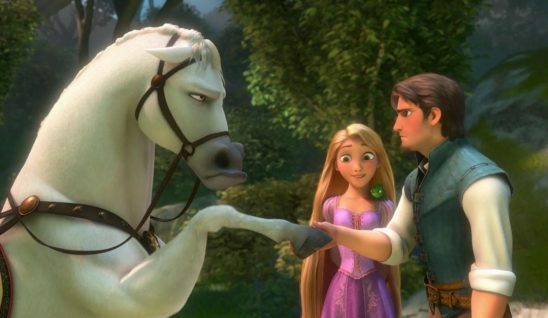 Why is an antagonist teaching the hero? In most cases, they look like a friend at first. Later, the hero may discover that their mentor is planning on using them for evil ends, or they might conclude that the mentor’s methods are unacceptably brutal. However, the mentor doesn’t have to look benign on introduction. Your protagonist can learn from them even if they’re overtly villainous. Perhaps it’s the only way to gain important skills that can be used for good, or maybe your protagonist has little choice. Make your hero struggle to resist evil while they learn. That makes for great scenes. 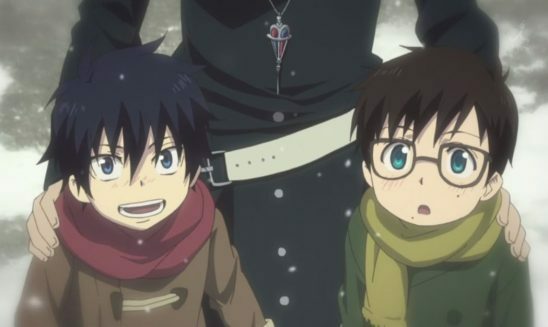 In Blue Exorcist, Rin and Yukio are twin brothers. Rin considers himself Yukio’s protector until the day their father is killed by a demon. Rin discovers that not only has Yukio been fighting demons for years but also that Rin has to learn from him to become an exorcist. Allies are a necessity in many stories, but if you’re not careful, they can get dull. Having too many scenes with characters getting along will put people to sleep. On the other hand, scenes with characters at odds are usually entertaining. That means, more often than not, you’ll be looking for reasons to get your protagonists fighting. Take a tip from your favorite anime, and introduce a rival ally. The rival is another character on Team Good with a lot of superficial similarities to the protagonist. Generally they are the same age and gender, and they should have the same general skills/profession. But instead of being besties, the hero and the rival are embroiled in an unfriendly competition. Usually this starts when the rival talks down to the protagonist. Not only do rivals add fun conflict to scenes full of Team Good, but they also grant a wonderful opportunity to develop your hero. Near the beginning, showing how the rival outstrips the hero will provide some great spinach, making your hero an underdog. Near the end, your hero can finally beat the rival, bestowing some rewarding candy and showing how much the hero has grown. 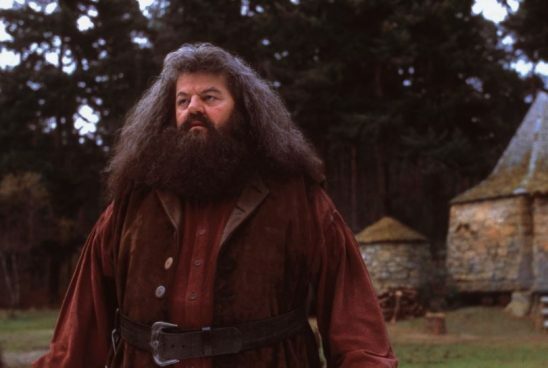 In the Harry Potter books, Harry often visits Hagrid to voice his troubles and get emotional support. All too often, our stories – and culture in general – neglect the emotional for the physical. The hero is tortured, and then they walk away and never suffer from PTSD. Mental health problems are depicted as belonging to a specific, stigmatized group of people and not as something that everyone has to watch out for. Having a character that provides emotional support allows you to write scenes where the hero recovers from psychological trauma, just like you might show them waking up in a hospital and talking to a doctor. When it comes to being supportive, we could all use more positive role models. Too many characters show “support” with “tough love” – being pushy, judgmental, and even manipulative. The power of a character who accepts, trusts, and listens to the hero shouldn’t be underestimated. It’s especially powerful if the support character is a man. Men are stereotyped as being unsupportive. By using a male supporter, you can break that harmful stereotype and make your character stand out. If the character has underprivileged characteristics, make sure you give the supporter their own life, agency, and goals; those characters often feel like they only live to serve the hero. Supporters also make great love interests. After the hero shares their feelings, the supporter love interest can share some of their own experiences. That’ll make the sparks fly. 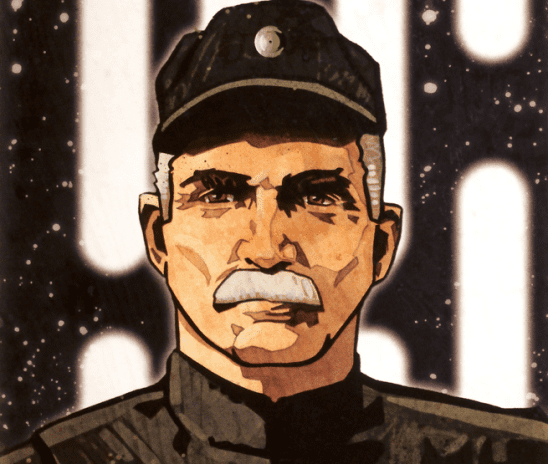 In Heir to the Empire, we see Thrawn, the main villain, through Captain Pellaeon’s eyes. This keeps Thrawn threatening while letting us know what he’s up to. Recently I wrote about the problems with writing from a villain’s point of view. Really, the problem is that too many writers are doing it. More than any other character, the villain needs their secrets. But the audience may also need to see what’s happening in places out of Team Good’s reach. In the right situation, revealing a villain’s plans can add tension to the story, and explaining their motivations early can avoid burdening the end. The sympathetic minion is the perfect solution to this problem. As a servant of the big bad, they have access to information Team Good doesn’t. At the same time, a minion often won’t be in their master’s confidence, making it easy to conceal anything you don’t want the audience to know. From the minion’s point of view, the big bad could still be scary. Plus, minions get short-shrifted in too many of our stories. The heroes will agonize over the morality of killing the villain while dealing fatal injuries to minions left and right. Sure, the villain is usually one of the most important characters, so it’s natural they get more of the spotlight. Even so, continually focusing on powerful villains while dehumanizing their underlings sends a classist message. Showing minions as sympathetic beings helps fight this trend. 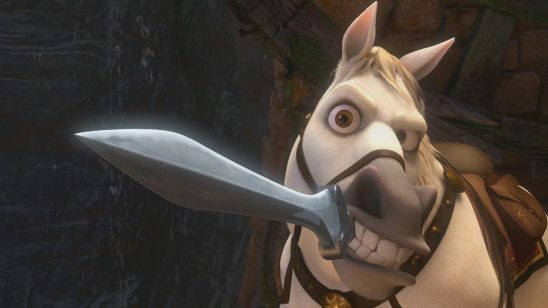 In Disney’s Tangled, the steed Maximus is the unofficial captain of the guard. He makes a great antagonist and a great ally. Sometimes it’s difficult to get characters involved in the plot. Most of them would probably rather relax with a glass of wine and a good movie. On top of that, we often need a reason for characters who dislike each other to interact without coming to blows. This not only adds some of that fun interpersonal conflict I mentioned earlier, but it’s also a great start for a romance. In the good old days, we could just trap characters in an elevator together. But the kids these days want events that haven’t been done a million times before. The investigator takes care of these problems beautifully. An investigator is any character whose job it is to find out what’s happening and who has an interest in solving problems. They could be a police officer, government agent, private investigator, or a journalist. Yes, investigators do make good protagonists, but that’s not all. What our stories could really use is more side characters that are investigators. Protagonists aren’t known for following rules. Even if they aren’t a beloved ruffian or charming cat burglar, they have a weird habit of breaking the law whenever it might save a life. On top of that, they’re always right where all the suspicious activity is happening. An investigator who also has an interest in saving the day but rigorously follows the law is the perfect accompaniment to such a hero. The investigator will probably suspect the hero at first, creating some great conflict. Depending on the needs of the story, they can remain an antagonist, reluctantly join forces with the hero, or even go back and forth. You’ll never struggle to explain why they’re around. Characters that don’t serve the story end up dragging it down. The next time you think of a cool character while you’re drafting, consider the role that character will play in your story. Choose a good role, and your story will be stronger for it. One nice example for the sympathetic minion (more or less sympathetic, in this case) is Colonel Sebastian Moran in Kim Newman’s Moriarty stories. (They’re gathered in “The Hound of the D’Urbervilles.”) Moran essentially plays ‘Watson’ to Moriarty’s ‘Holmes’ (which is a little weird to write, considering the actual characters). Moran’s voice is rougher and sometimes more direct than Watson’s (he was an army colonel in the colonies, after all, and is #2 in Moriarty’s organisation). I love the stories for Moran’s voice as much as for the references to a lot of other stories (especially ‘The Adventure of the Six Maledictions,’ ‘The Greek Invertebrate,’ and ‘The Red Planet League’). It’s also notable that Sherlock Holmes only appears in the last story and is only referred to as ‘the thin man from Baker Street.’ Despite not being a nice man, Moran makes for a good viewpoint character. He never fully understands his master’s plans, of course (he almost gets himself hanged in the first and mummified in the fifth story), but he comes through as a human being you can understand. I doubt the same would be possible, were Moriarty himself the viewpoint character. Mai and Ty Lee from Avatar: The Last Airbender are also good examples of sympathetic minions. 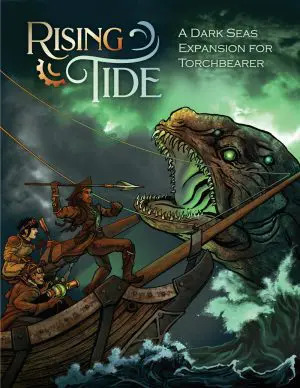 .5 made me think that we could also use more protagonists who follow the rules without question, sidestepping them with wit and cleverness each time they interfiere with their righterous agendas. Because we all know that rules aren’t always good, but they’re there for a reasson, and having characters (specially protagonists) break them left and right without taking into account why they exist gets boring at best, and insufferable at worst. I can’t count how many times I’ve seen the main character jump into action when they were explicitely told they couldn’t, only for them to come victorius because of course the protagonist was right, even if they endagered their team in doing so. I hate this trope so much. Same goes for Heimdall in the Thor films. And Javert from Les Mis is a good example of the inspector archetype as an antagonist who nonetheless remains a noble-hearted character. Ah, good ole protagonist centered morality. Often rides tandem with “torture is the quickest way to get reliable information”, which also needs to die in a fire. Like, several years ago. And even Heel-Face Brainwashing (http://tvtropes.org/pmwiki/pmwiki.php/Main/HeelFaceBrainwashing) from time to time. Though I will admit I enjoyed the example in Attack of the Clones (“You want to go home and rethink your life”). The best way to interrogate somebody is to buy them a drink. The chance for reliable information raises with the number of drinks you buy someone. Apparently sodium-pentothal is only as useful as getting someone drunk. 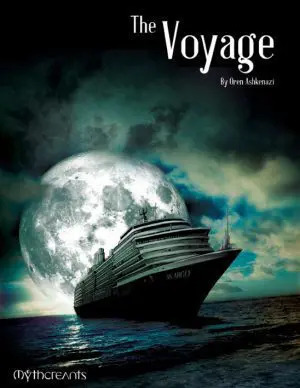 This is one of the best articles you’ve written!! I am especially intrigued by the Mentor Antagonst, and would love to see a full article on it. Ra’s al Ghul and Sauron are great examples of the Mentor Antagonist. Would you consider Tyler from Fight Club to be a subtle twist on the archetype? There is another whole variation of the Mentor Antagonist, which is when a particular Mentor and Mentee BOTH start out as antagonists in the story’s throughline, but only one of them joins with the protagonist. The Fire Lord (as Zuko’s father and former mentor) and Tywin Lannister (as Tyrion’s father and former mentor) are examples. When I’ve seen this variation it is usually complicated by abuse from the mentor (as is typical for full-fledged antagonists the author doesn’t want you to root for). There are also characters who should be mentors but never really are, because they are antagonistic from the very beginning. Severus Snape is a great example. One could also argue that the Fire Lord and Tywin were always antagonists to Zuko and Tyrion, but it took their sons years to realize it. Would you consider the Misguided Mentor to be a variation of the Mentor Antagonist? Examples could be Dumbledore, who withheld information from Harry for far too long; the Guru in TLAB, whose honest advice would have been catastrophic if Aang followed it; or Luke in TLJ, whose fear and apathy could have killed Rey’s drive to help the Resistance. My experience with mentor antagonists is actually from a game I ran where each player had their own mentor antagonist; it worked very well. I had a lot of trouble coming up with notable examples I thought were sufficient for this post – Peter is actually less than ideal. Ideally the character would both do the kind of intense mentoring that a traditional mentor does, and be antagonistic enough to cause the hero serious problems. I like your example of Tyler from the Fight Club. Haven’t read enough comic books to know Ra’s al Ghul. You don’t mean Sauron in LotR do you? He’s barely present in those books. It sounds like a misguided mentor could be a mentor antagonist, but I wouldn’t give them that title unless they succeed in teaching the hero useful skills, and their goals actually conflict with the hero’s in a large way. If you have a mentor that is a well-intentioned extremist anti-villain, that could qualify as both. Sorry I meant Saruman, not Sauron! She teaches Jen but wants to use her for revenge, she resents Jen when she realizes her apprentice was hiding her higher level of skill from her, and she tries to kill her apprentice in the end. A more straightforward example from Avatar: The Last Airbender would be Hama. Good point, I forgot about her! A great article! (I particularly like investigators). A lot of the best mentor antagonists are also spoilers, unfortunately. But an example I will suggest is Harrison Wells from the first season of The Flash, in large part because his role as mentor becomes more and more important to him without preventing his antagonism. Also one that everyone knows is Long John Silver from Treasure Island. About #1: Do you think it would work to have a protagonist know that their mentor is evil, but still look to them for guidance? The MC would never trust the mentor, but learn magic from them. My plot is that the villain kidnaps the MC and tries to show her magic and she reluctantly accepts learning by him. And about #2: I have seen many times a new person join a group of heroes and there’s ALWAYS that one annoying person. They’re rude, judgemental, have little background behind why they act this way, and are usually used to show how much better the MC is than them. This is usually two girls. 1 does sound like an interesting battle of wits. I think a great example of a Mentor Antagonist is Kreia from Knights of the Old Republic II. She’s also a surprise villain, but she honestly tries her best to mentor the protagonist and she doesn’t see herself as evil – though she understands that the protagonist probably will, eventually, so she tries to sell them her own ideology during the mentoring. When the final confrontation comes, there are good emotional stakes because both characters still feel a sort of attachment to each other from their time spent together, but their principles force them to clash. Since Kreia is one of my favourite villains (I still think the twist beats the one from the original KotOR by far, fight me ), I certainly wouldn’t mind seeing more characters of this archetype. Another good example is who Ares ultimately turned out to be in last year’s Wonder Woman movie. I keep thinking of Stick in Daredevil as a rival mentor. He is not a villain but he tries forcing the character onto a path he refuses to follow and they fight often. Seems strange to me that men aren’t consisered supportive and caring. Almost every important hero I can think of, from Batman to Achilles, cares for and supports somebody. And then you have the master/apprentice relationship (i dont know about you but i would want to be sure my apprentices head was right).